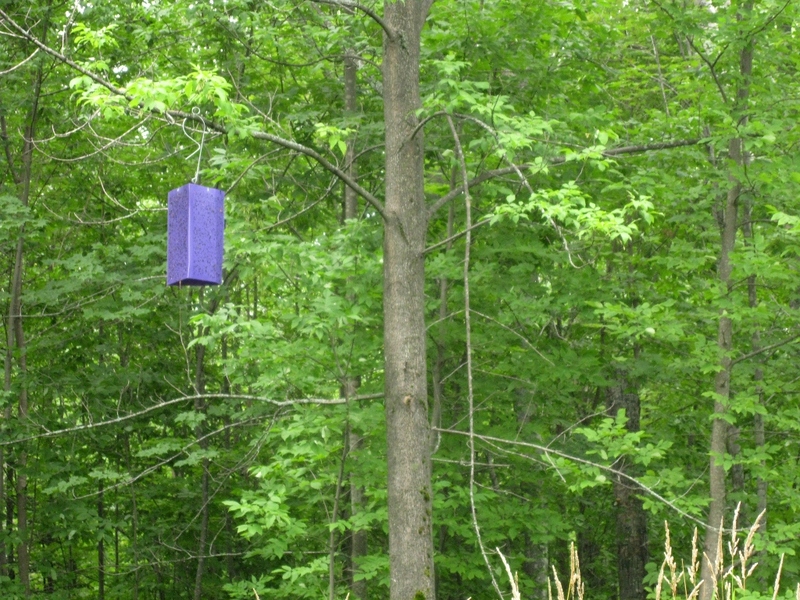 In the Upper Penninsula there are mysterious purple boxes hanging from the trees. Can you guess what they might be for? Would it help if I told you they’re only in ash trees? They’re glue traps, baited with Manuka oil, intended to capture and kill emerald ash-borers. Rebecca, you are just a fountain of knowledge! :) :). I enjoy your blog, it is a bright spot in my day! Thanks for your kind words, as always! They’ve been hung all over New England and New York State. I’ve seen them in CT, MA, NH, VT, ME. and NY. The infestation in the Northeast centers in central NY. I’m very interested to find out if this capture method works and how far they’ve traveled. A potentially very dangerous pest. I’m even more worried about the asian longhorn beetle, capable of wiping out all the hardwoods in New England. I’m not familiar with the asian longhorn beetle (probably because I’ve never lived in New England). Maybe it’s better this way, because I find that if I think about such things too much I need to scream into a pillow. They’re becoming a big problem in Missouri, too. They seem to be becoming a problem almost everywhere, unfortunately. They’ve hung some multi-decker traps in the Oconee WMA in Georgia recently. They’re quite impressive. Was by the Ranger Station the other day but forgot to ask what they were trapping for. Will have to post pics sometime. I’d be interested in seeing photos of that, yeah! I honestly don’t know much about them. I was just intrigued by their presence, because I’d never seen them before. 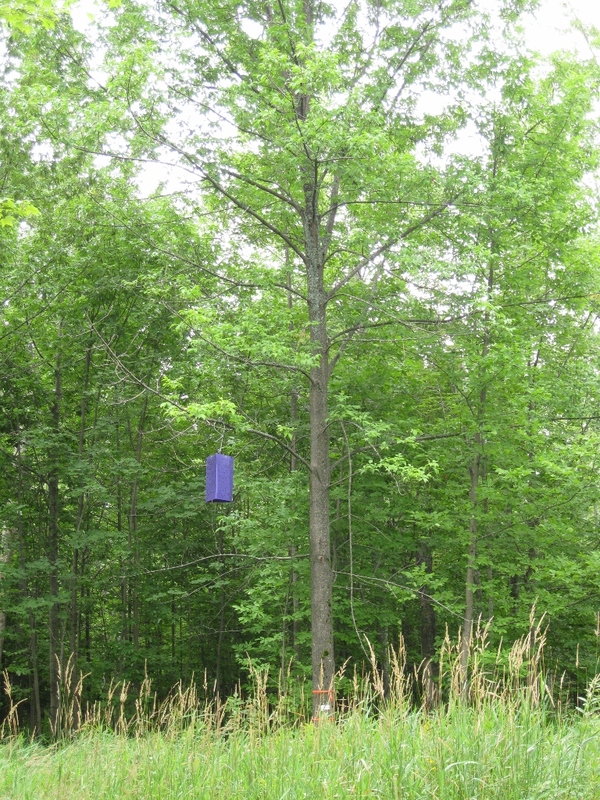 They are traps that are meant to tell the U.S. Forest Service, and APHIS and whomever needs to know whether the EAB (Emerald Ash Borer) has made it into the area of the trap they find it in. We call them “Barney Traps” in Maryland.